Wladyslaw Bartoszewski fought for Poland and the Jews during World War II and after. He was a member of the Home Army and Zegota, as well as a survivor of Auschwitz. His death occurred quietly, at age 93, just days after giving a speech to commemorate the 50th anniversary of the Warsaw Ghetto uprising. He is honored among the Righteous Among the Nations, honorary Israeli citizen, and Polish hero. 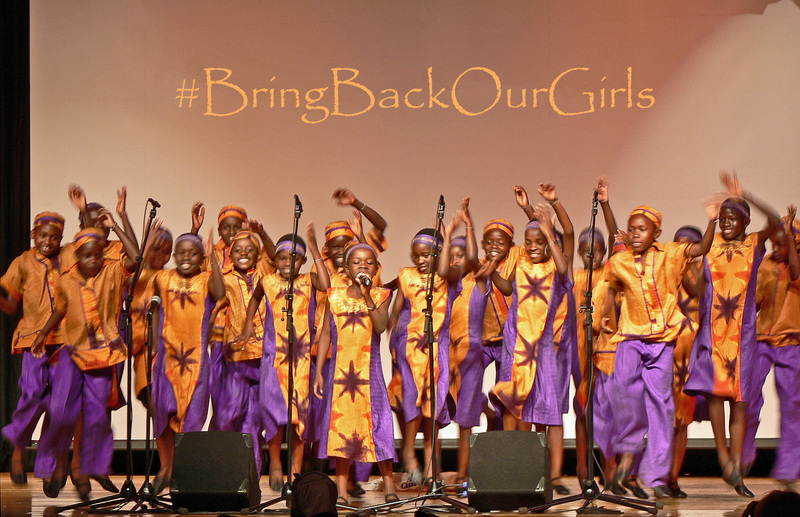 On this, the anniversary of the kidnapping of school girls in Nigeria, I would like to take the time to remember tham. On Tuesday, April 14, Malala Yousafzai wrote an impassioned letter on their behalf. “I look forward to the day I can hug each one of you, pray with you, and celebrate your freedom with your families. Until then, stay strong, and never lose hope. You are my heroes.” For more information, the Huffington Post issued a detailed article with many links. I took this photo during a 2005 concert of the African Children’s Choir and adapted it in 2014, as I felt it expresses the power of African girls beautifully. A loving mom declares her 2-year-old daughter’s little voice deserves to be heard by everyone. 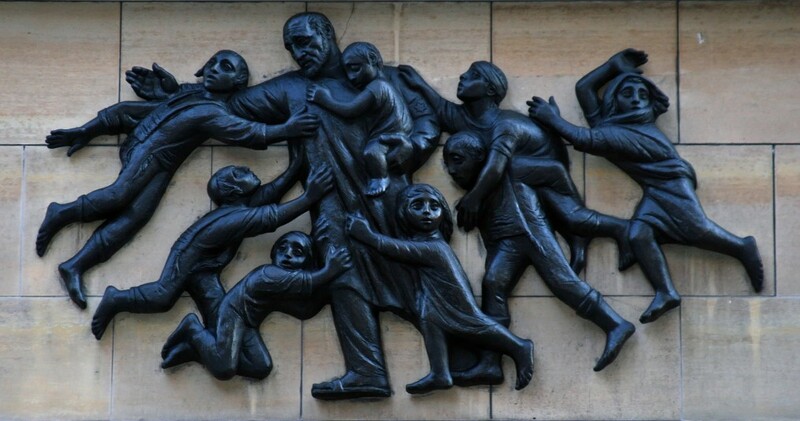 This is a beautifully written little essay, embracing the spirit of Janusz Korczak​ and “The Child’s Right to Respect.” For that reason, I felt it very much worthwhile to mention in this space. Please take a moment and read the essay in its entirety on Becky’s Blog. A ribbon made of multicolored puzzle pieces. 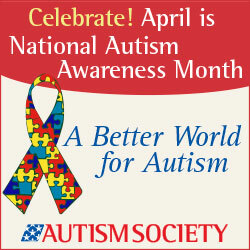 It has become one the most recognizable symbols of autism in the world. The various colors reflect the many “faces” of autism, a condition often referred to as the autism spectrum (ASD) because no two people with autism are alike. (The cognitive abilities of people with ASD range from nonverbal to intellectually brilliant.) The ribbon symbolizes solidarity and hope of a happy, fulfilling life for people with autism. The puzzle pieces remind us that the condition and the people with it are still very much a mystery. Autism Awareness Month first came to be about 25 years ago, when the Autism Society of America undertook an effort to promote autism awareness. The primary objective was to “promote … inclusion and self-determination for all, and assure that each person with ASD is provided the opportunity to achieve the highest quality of life.” This year, the Autism Society seeks to go beyond awareness and encourage the public to play an active role as advocates, to speak out for inclusion of people with autism in school and community, embracing acceptance and engaging in an appreciation of their talents and gifts and for what these children and adults are capable of. In addition, April 2 is designated World Autism Awareness Day, as a result of a 2008 U.N. resolution (first proposed by Qatar). An autism research and education organization, Autism Speaks, initiated the worldwide Light It Up Blue, campaign in its effort to raise autism awareness. 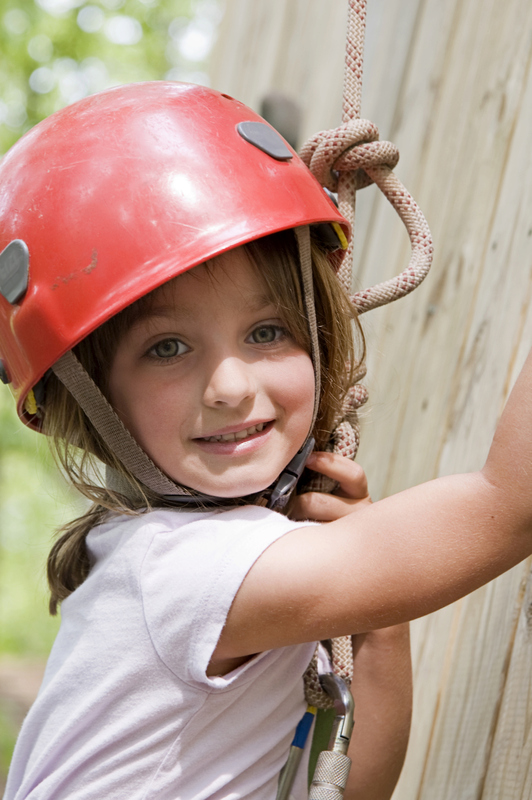 Among many in the autism community, both advocates and self-advocates, Autism Speaks is highly controversial, because that organization is seeking a cure, whereas many people prefer to see autism as simply another way of being, “different, not broken.” These advocates and activists prefer the completed puzzle over the single puzzle piece that is a trademark of Autism Speaks. An astonishing video from a television documentary has recently made the rounds via the social media. It shows how a Carly, a teenage girl with autism, who grew up nonverbal, was finally to express her inner voice that had been captive for over a decade. It proves how much there is inside children like her. Her message would be one we should all listen to. World Autism Month is a call for all of us – and society at large – to understand and appreciate children and adults on the autism spectrum and, according to one blogger, to advocate for their parents as well. 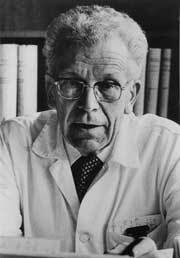 Asperger’s syndrome is named for Hans Asperger, who was the first to describe the condition. He did not live to see this honor.